President Trump has introduced a plan to spend $1.5 trillion to repair and improve the nation's infrastructure. The long-expected plan is part of the administration's budget proposal, released Monday in Washington. According to the plan, only $200 billion of the total would come directly from the federal Treasury. Rather, state and local governments -- along with the private sector -- would supply most of the money. The White House is pushing much of the cost onto states because it has already committed to significant deficit increases in the spending bill Congress passed a week ago. However, it would give the states broader power to find the money, causing at least one interest group to express alarm. The Alliance for Toll-Free Interstates (ATFI) says the infrastructure plan calls for "providing states flexibility to toll existing interstates." That, it says, would result in toll booths popping up on the nation's interstate highways. 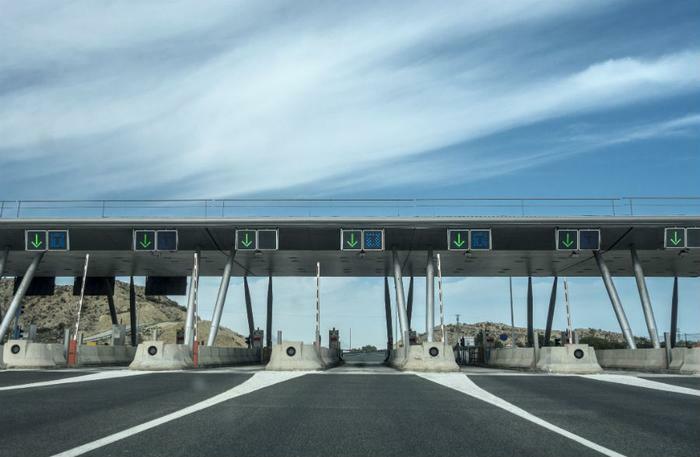 "Tolls are a wildly inefficient tax, sacrificing money that could go toward construction to corporate profits and administrative costs," said Stephanie Kane, an ATFI spokeswoman. "In addition to the diversion onto secondary roads which causes congestion and public safety issues, tolls will do unimaginable harm to businesses, as shipping and manufacturing prices skyrocket to account for these new costs." The group also says the imposition of interstate highway tolls shifts a large part of the cost of infrastructure to consumers. Rich McArdle, President of UPS Freight, says placing tolls on interstate highways would increase the cost of doing business for everyone -- including consumers who order things online. “Companies that move goods, such as UPS, rely upon the unrestricted flow of goods on interstates to move freight throughout the country. Nationwide tolls will dramatically impact the cost of moving goods, and ultimately consumers will pay a higher price," McArdle said. According to the Federal Highway Administration's Bureau of Public Roads (BPR), the government originally rejected the idea of paying for interstate highways through tolls, believing that motorists would avoid the highways. Later, it allowed the incorporation of existing toll roads into the federal government's Interstate Highway System. However, Congress has not allowed tolls to be placed on existing federal roadways since many lawmakers see it as paying twice to build a highway.